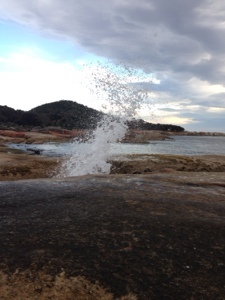 We headed up to Freycinet for some nice walks and relaxation and hit by chance on staying in Bicheno. Most of the places closer to Freycinet are self catering or posh or both. Bicheno on the other hand is a very sweet little town, with a lovely small harbour and it’s own blowhole. 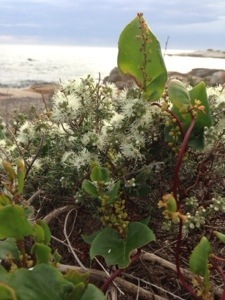 We had lovely evening and early morning walks around the headlands, enjoying the gorgeous views and these flowers which spiked the air with the smell of honey. 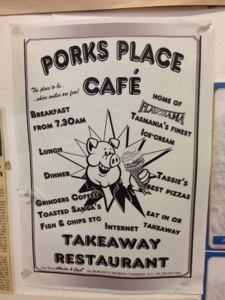 Dinner was at “Pork’s Place”. 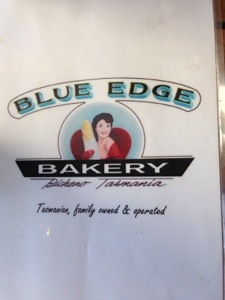 When in a place like Bicheno it seems best to keep it simple. 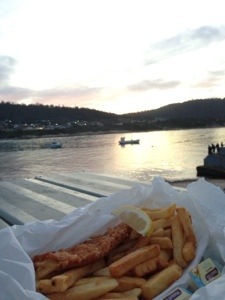 We got takeaway fish and chips and ate them while watching the sun set over the bay. Handcut chips and perfectly cooked super crunchy fish. Not bad for under $10. 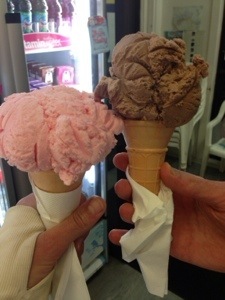 For dessert Pork’s does these giant icecream cones for $2 – choice of vanilla, strawberry or chocolate. The lady said that chocolate was the runaway favourite but I find it hard to pass up that fake strawberry goodness. Breakfast was a bit more fancy – at the Blue Edge Bakery in town. 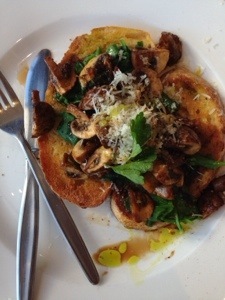 I had these wonderful swiss brown mushrooms on toast. Really good coffee. 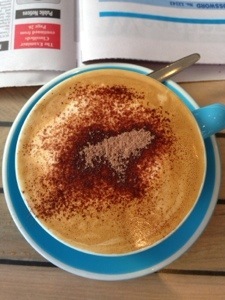 Actually all the coffee in Tasmania was pretty great. 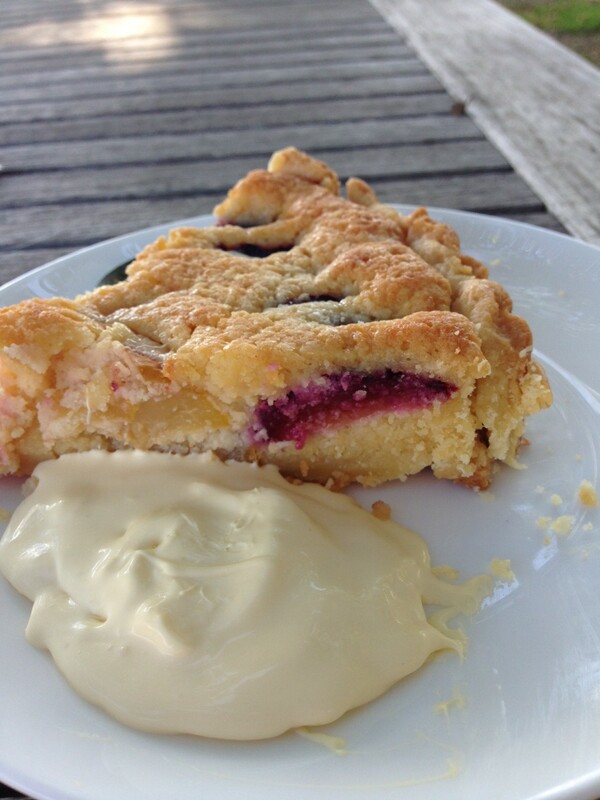 Rhubarb and strawberry tart for afters. 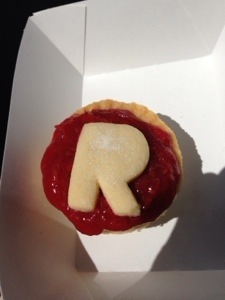 Very nice short pastry, and not too sweet filling. Scotch eggs are one of my favourite finger foods for a party – they are kind of retro and kitch, but also delicious and travel well if you slice upon arrival and can keep them relatively cool. They can also be prepared in advance. This was my first attempt at making vegetarian scotch eggs. When I ate meat it was easier, buy sausages and squoosh out the filling then wrap this around boiled eggs and fry. The vegetarian option however involved a little more prep, but the results were most definitely worth it – these were good and just about healthy enough to consider as an occasional week night dinner with a salad on the side. Some of the vego recipes online involved buying vegetarian sausages but that seemed both a bit expensive and overly processed. 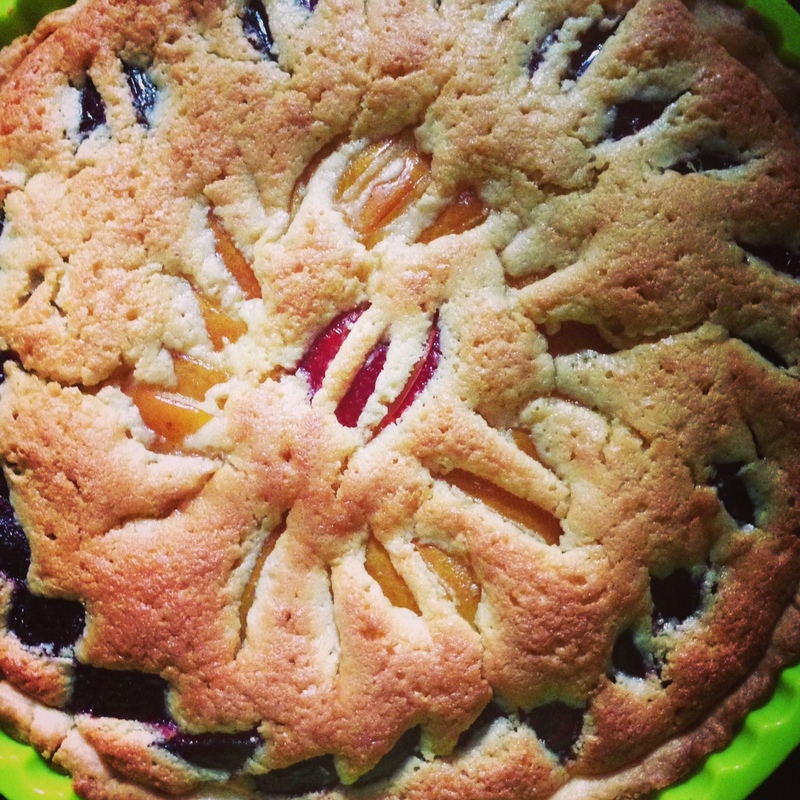 I was inspired by this recipe, which I tweaked a little to make it simpler and to match it to my palate and what was in the cupboards. 9. Each chickpea wrapped egg should now be dipped in the beaten egg, then in the panko so that it is well coated. You can double dip them if you have time. Then pop in fridge for 10 minutes. 10. Heat the vegetable oil in the pan you intend to fry in, make sure there’s enough oil that it will come at least halfway up each scotch egg. I use a little pot that has room for 2 scotch eggs at a time. Make sure the oil is hot enough before putting them in, should immediately sizzle. Once nicely golden remove with a slotted spoon and drain on paper towel. 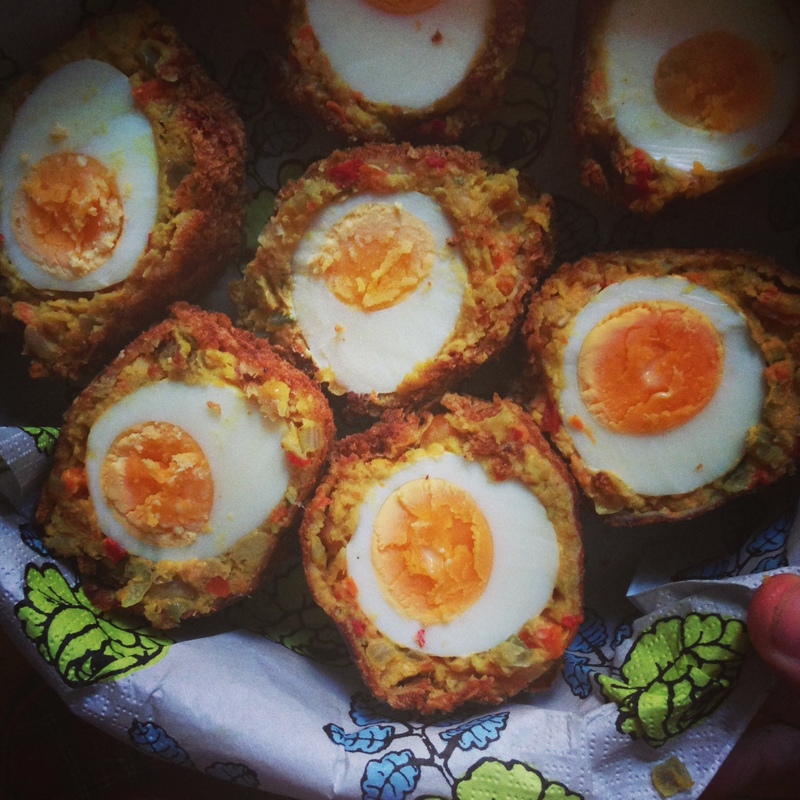 I like my scotch eggs cold, so would then pop them into tupperware and slice before eating. If you’re taking them to a picnic or something pack them uncut and they will travel better. Normally you would cut them in half but as they are quite big I also served some cut into quarters, if you make them with quail eggs then just cut them in half. * If making with quail eggs I’d suggest a pack of 10 or a dozen, and two regular chook eggs for coating them. Boekenberg is one of Antwerp’s best kept little secrets. A totally natural outdoor pool in a park just a short bike ride from the centre (for a listing of other lovely pools in Belgium, see here). It gets quite busy, so to balance the numbers of people swimming vs how the natural system can cope with cleaning the water, there is a countdown of people allowed in at any time. Your maximum time in there is about 45 minutes, but nothing to stop you going back in of course. 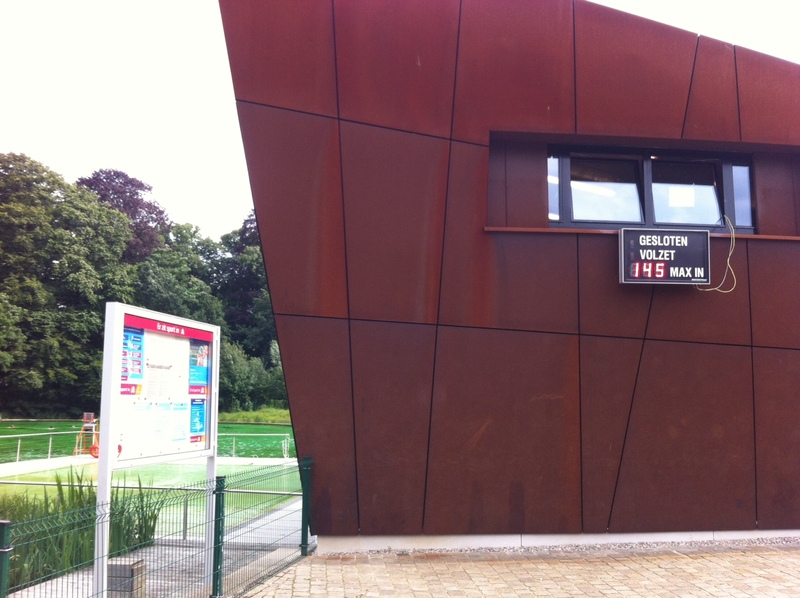 As this is Belgium there are also change rooms and lockers (bring a euro coin to use these). 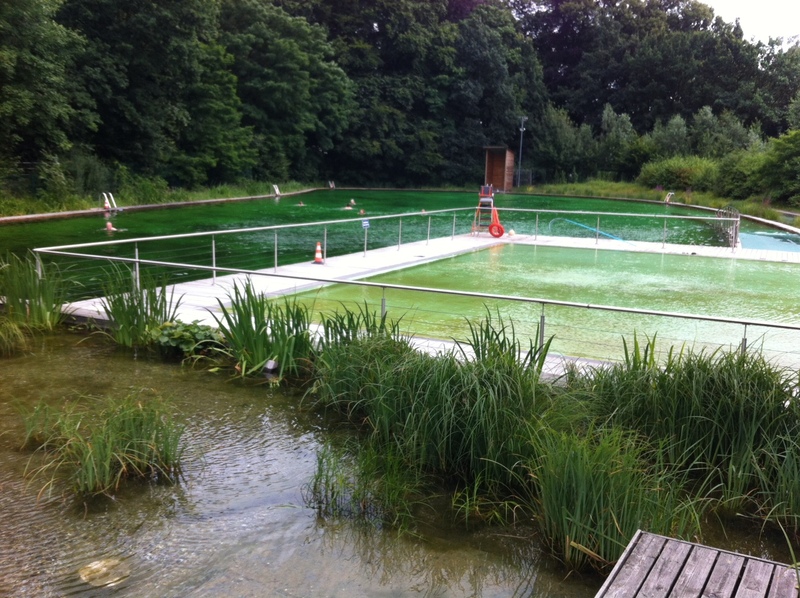 The pool itself is very natural – a little mossy, and with the freshest of water. I’d almost say you could drink it but that is probably not advised. 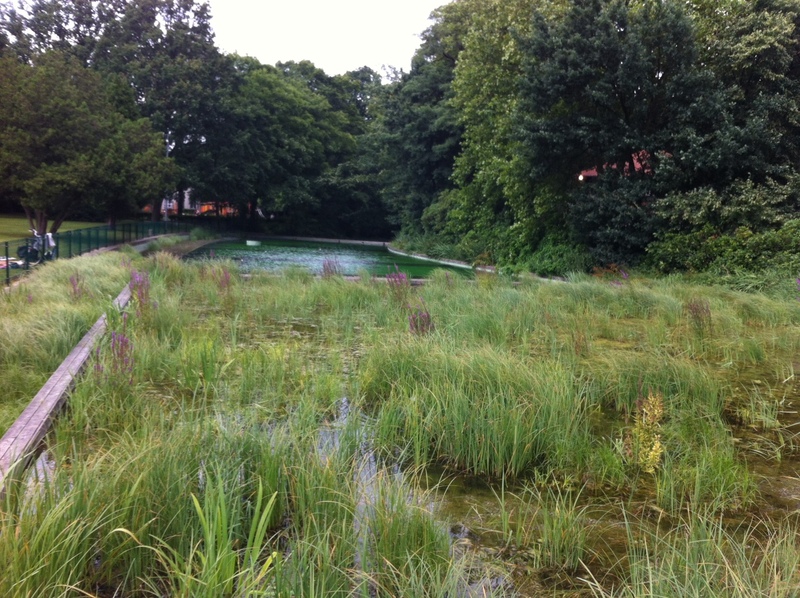 The filtration system is “natural” – meaning that the water runs through a series of feeder ponds. Every weekend Antwerp’s lovely “Vogelmarkt” is held on a square near the city centre. 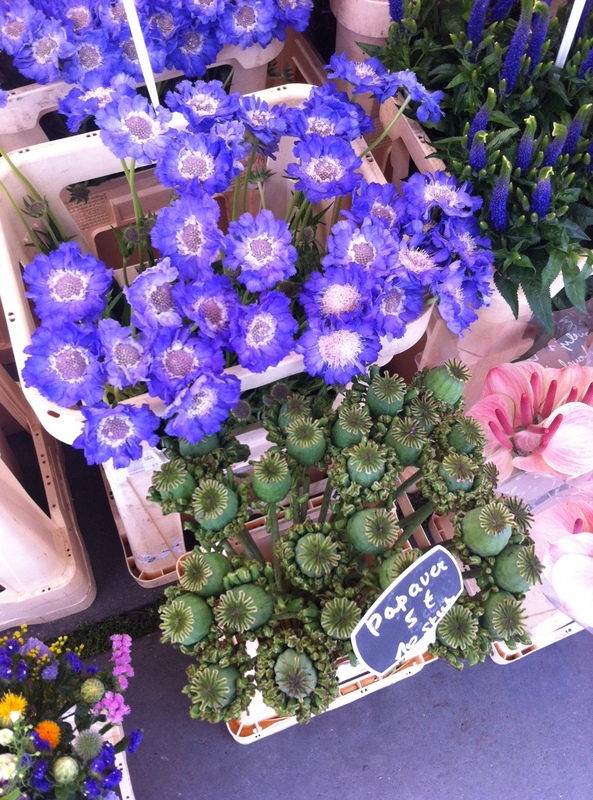 Saturday is the fresh market with fruit and vegetables, flowers, fish, cheeses of all kinds, and meats. The market is frequented by a mix of locals and tourists and has a friendly vibe. 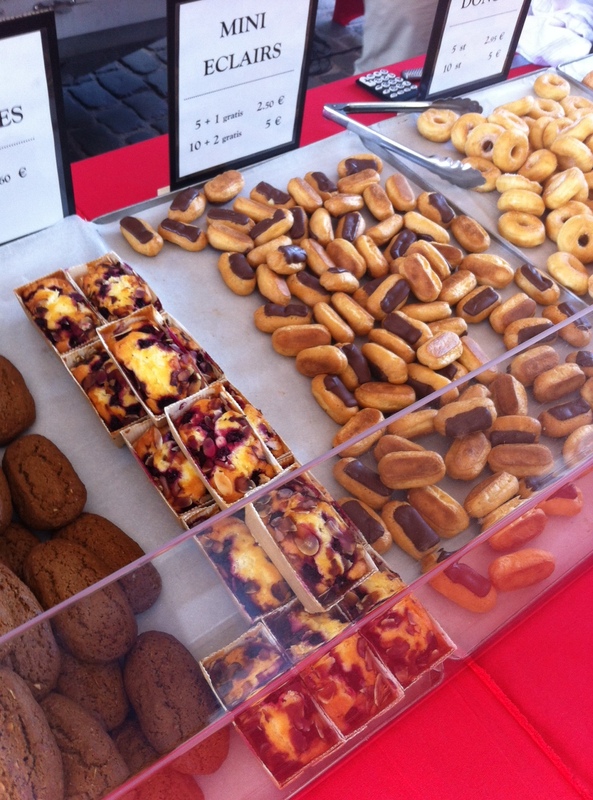 Many of the stalls have little taste tests (the olives are particularly good) and there are places where you can get some of the mainstays of Belgian market food: sausages with sauerkraut, oysters, croquetten (garnaal/kaas – shrimp/cheese), karakollen (tiny little cooked shellfish), or a simple broodje kaas (bread roll with cheese). Somehow these colours capture European summer don’t they? 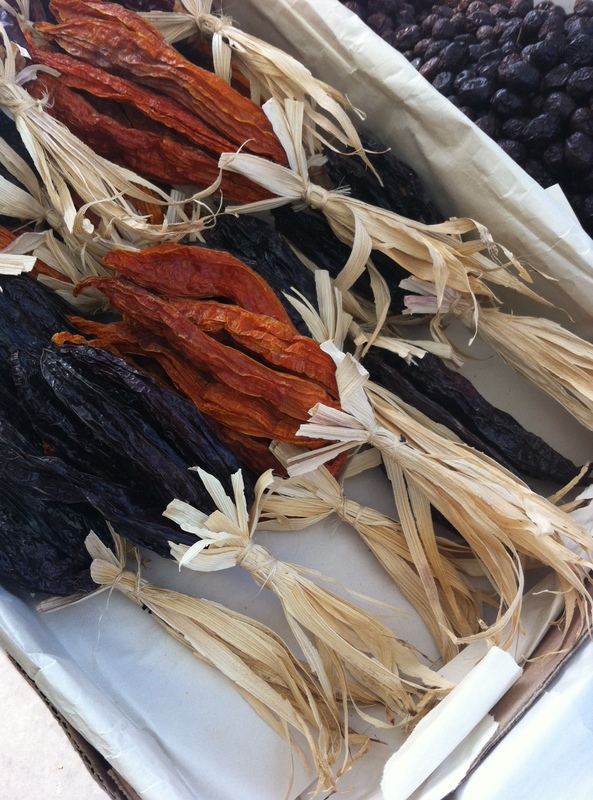 Dried chillis in large bunches – a welcome move towards spice in Belgian cuisine courtesy Morocco and the Middle East. 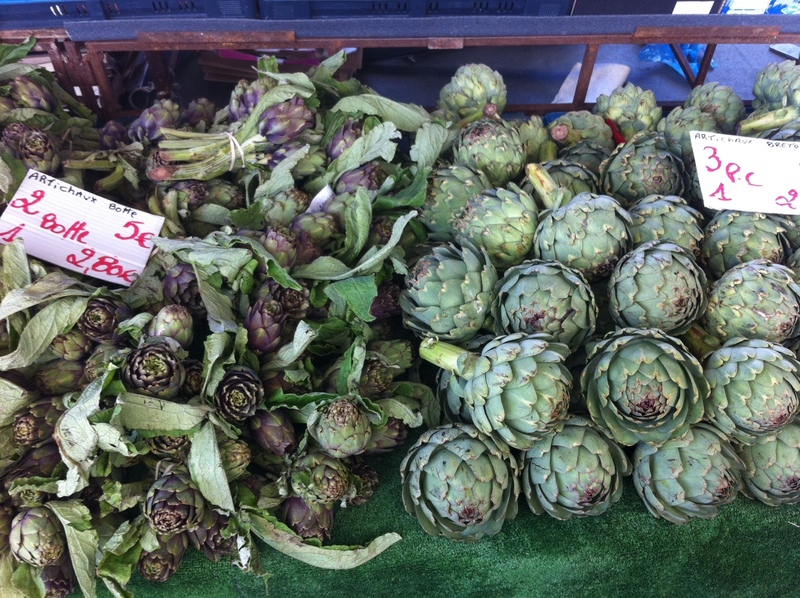 Beautiful summer artichokes. 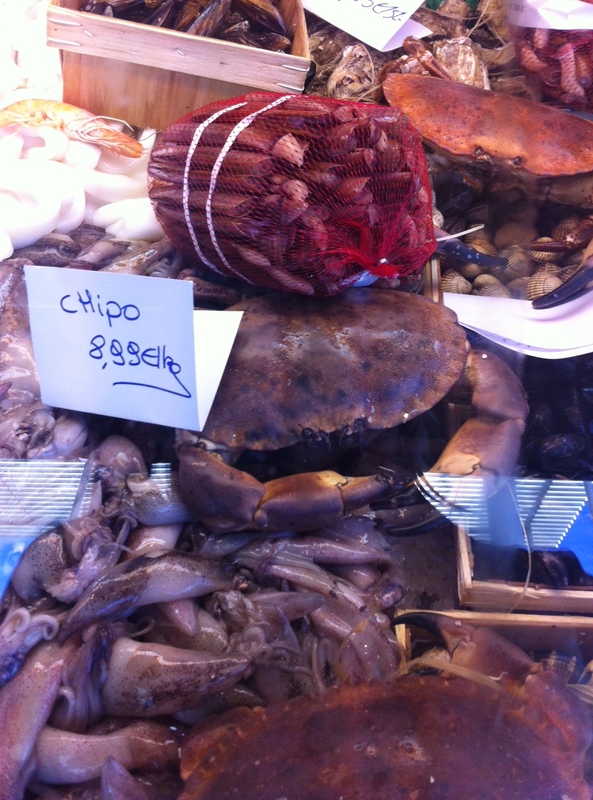 Some other stalls had ones as big as your head – wonder how you are supposed to cook them? The fruits of the North Sea: razor clams, live crabs, vongole and baby squid. Cultivated mushrooms – spicy and meaty Paarse ridderswan. 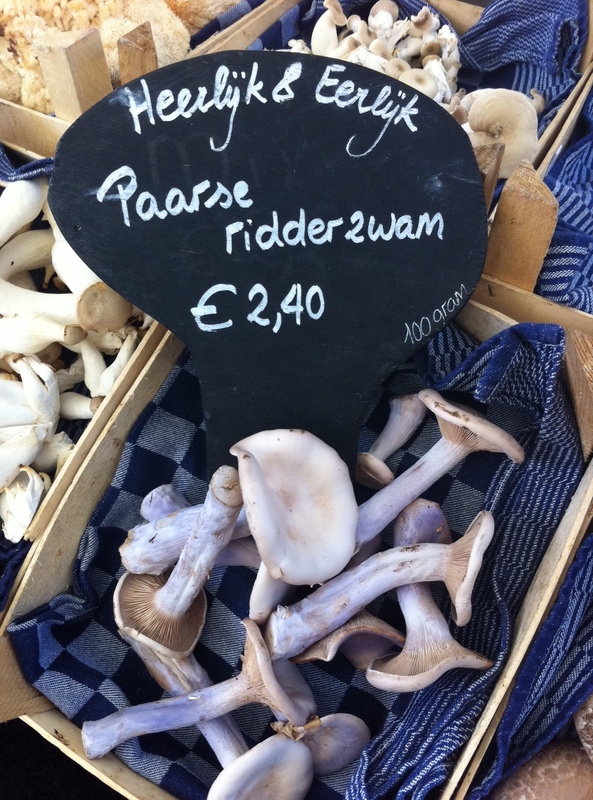 This stall had so many varieties I have never seen before – looking forward to return visits and to trying my first ever fresh chanterelles. If you just want a tiny snack how about one of these bite size eclairs? All the way on the left hand side is dark, fragrant speculoos (ginger cookies). My slightly larger snack. 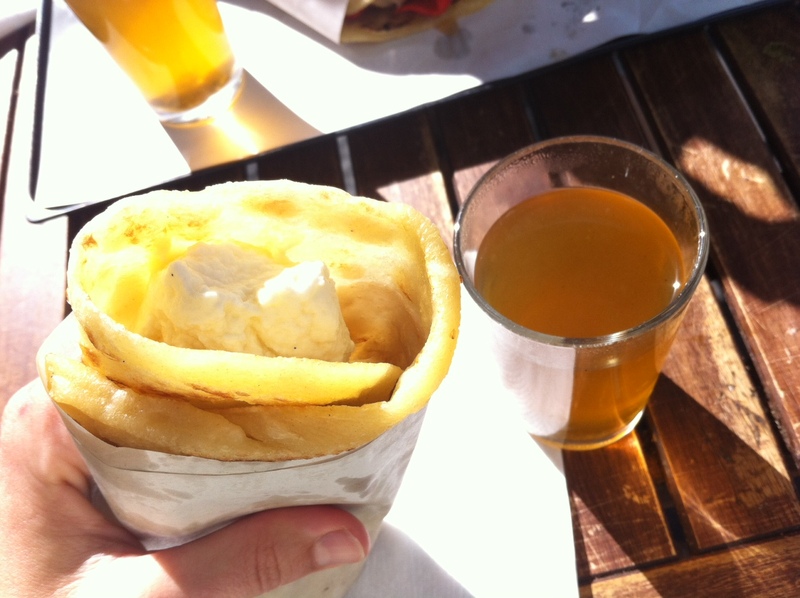 Hot sweet tea and a fried pancake with ricotta, honey and plump dried figs. You can also get one “with the lot” which includes olives, artichoke hearts, dried tomatoes, baby dolmades, honey, ricotta, figs and more. Two of these and two cups of tea for less than 10 euros – a cheap and hearty breakfast or lunch in the sunshine in central Antwerp. This is my top thrifty travel tip for the day! NB Behind the stall that sells these is a large container of water with a small tap to wash the (inevitable) stickyness off your hands. These “papavers” are what happens to a poppy after the flower. Quite striking!